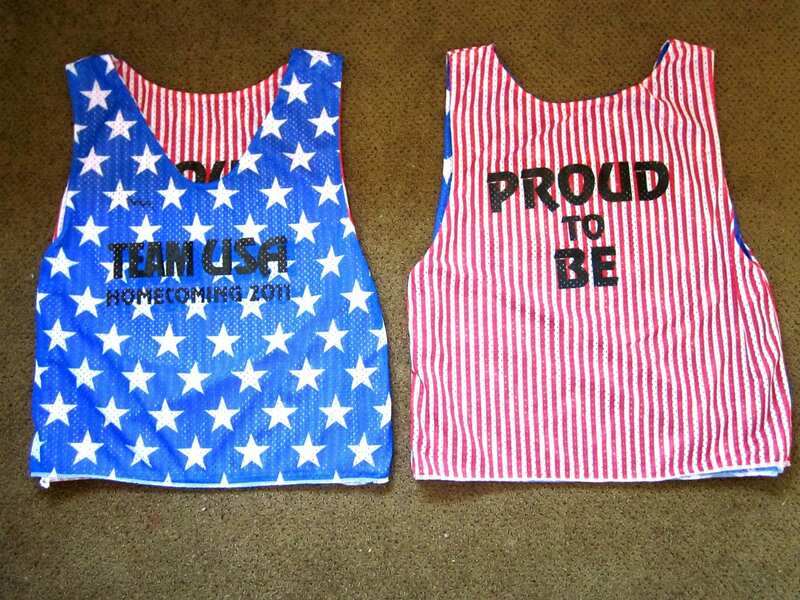 The dollar bill pinnie has never looked so cool. Special thanks to the Money Squad in Denver Colorado. Stay warm! 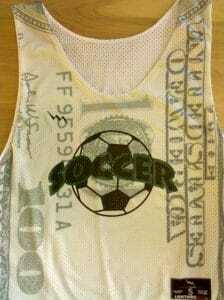 Create your own custom soccer jerseys with any design pattern or print. 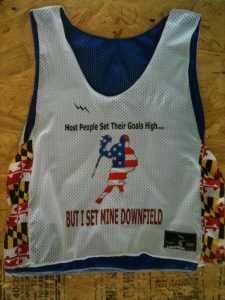 We manufacture all of our custom soccer jerseys in Maryland USA. For under $30 you can get a fully sublimated soccer jersey with custom names and numbers with any print or design. This team added custom names and numbers on the backs of the jersey. They cashed in on the fame with some cool nicknames and their favorite player numbers. 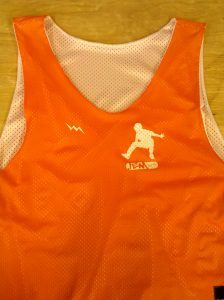 Normal production time for soccer pinnies is about three weeks depending on the quantity of the order. 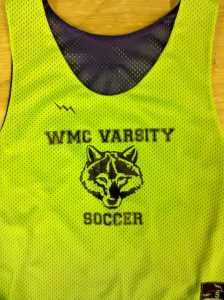 We have on site graphic artists that can help you design soccer uniforms. The jerseys come in adult and kids sizing. We also ship anywhere in the world. Call us today to begin your order. 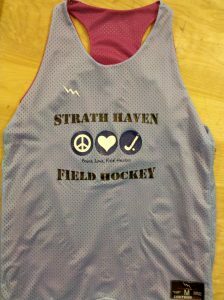 Here goes a nice smooth set of Cross country pinnies from Lightning Wear®. These ferocious neon green bibs are on the way to our soccer pals in Long Valley New Jersey. Thanks for the order. 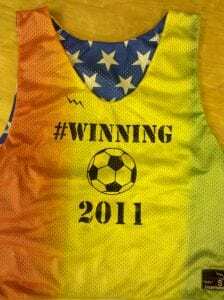 Create your own custom soccer pinnies in adult or kids sizes. The WMC team wanted neon yellow and purple jerseys with their custom logo on the front. They added custom names and numbers on the back of the jersey. On the purple side they added white names and numbers. 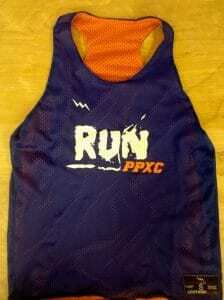 For under $30 you can order a custom made pinnie with any logo design or color added to it. For bulk orders of fifty pieces or more, we recommend that you call us and we can help you with special pricing. 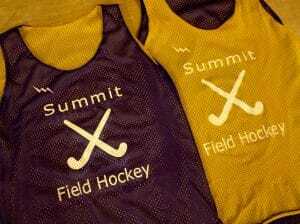 We manufacture custom soccer uniforms for adult and kids teams for girls and boys. Normal production time for these jerseys is about three weeks. However we also offer a rush service for an addtional 25% of the order. Black Basketball Reversible Jerseys from Lightning Wear®. Yeehaw. 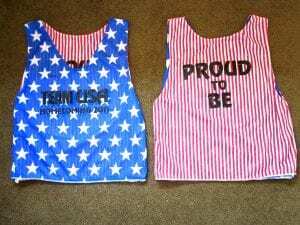 Some rodeo pinnies are on the way to Vermont. Enjoy em. 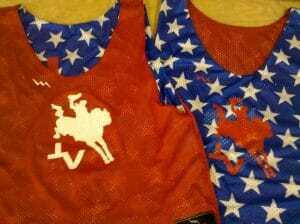 The team went with the longer basketball pinnies with dye sublimated stars and a red front. They added the front logo. On the back they added team names and numbers. 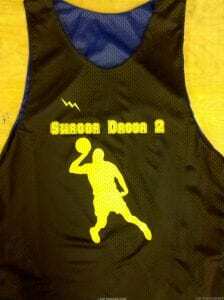 For under $30 you can get a custom basketball jersey with any imprint pattern or design. This includes adding team logos, names numbers or any print to anywhere on the jersey. 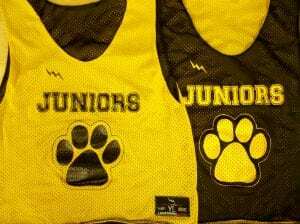 We are the nations leader in the manufacturing of sublimated basketball uniforms. 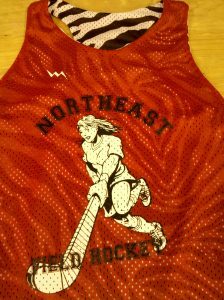 Our process allows for imprint on the complete side front and backs of your reversible jerseys. 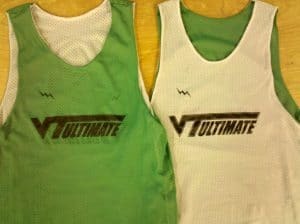 We offer several styles for basketball jerseys including the v neck collegiate cut, a traditional tank top style, and a sleeveless fitted jersey. 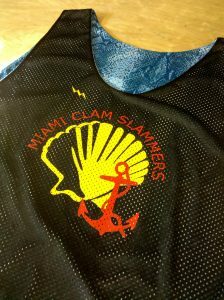 You can add shooter shirts and sublimated shorts to complete your order. Most teams that we outfit order the long sleeve basketball shooter shirts. We can make just about any uniform that you can think of. There are no minimum orders and shipping is free on most orders. We have in house graphic artists that can help make your basketball uniforms the best on the court.